Patisserie Fur Elise — Joy Chang Design Inc.
Fur Elise is inspired by Alice in Wonderland, and we want visits to enter this space and step into the dreamy vision of pink confection and cream. 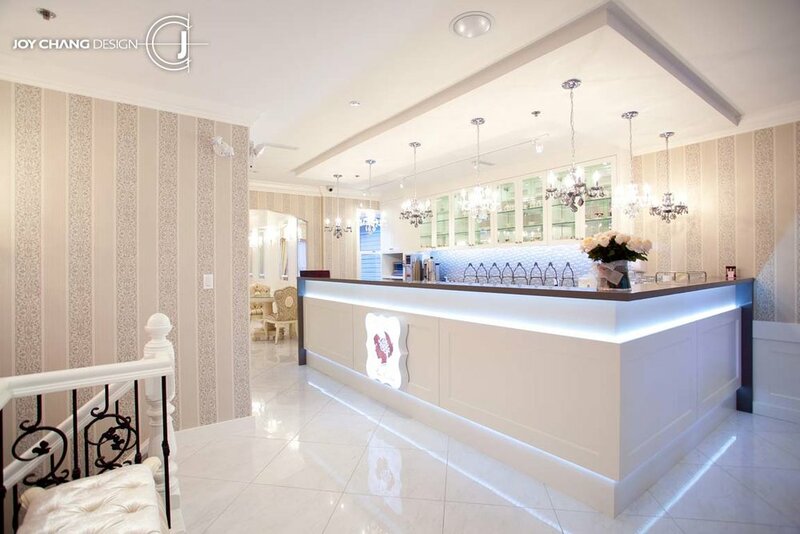 With softly elaborate wallpaper, baroque inspired furniture, the atmosphere is charming, girlish and sweet like the desserts from Fur Elise. 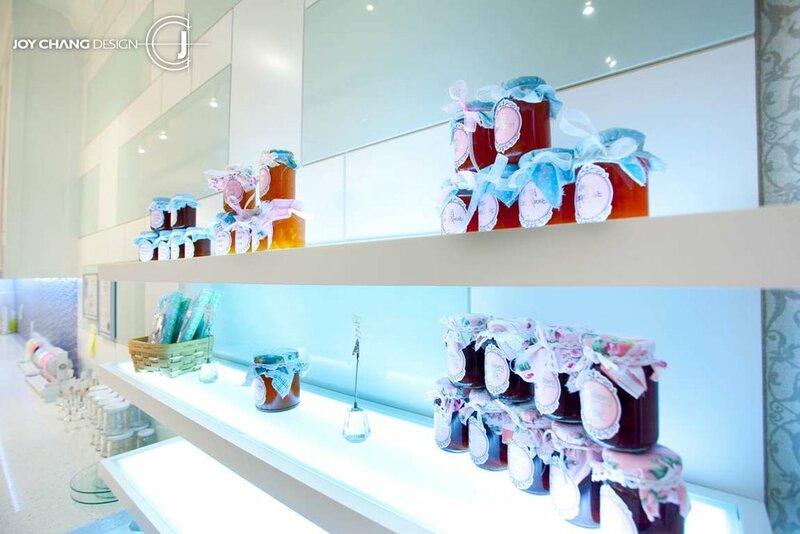 It's a fairy tale high tea salon sure to charm any girl.